Ever since, former English skipper, Alastair Cook has announced his retirement applause have been pouring in from all corners of the world. 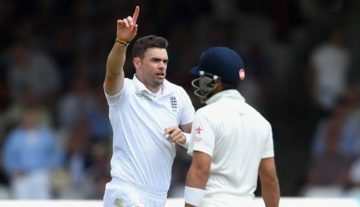 He has been hailed as an “inspiration”, a “legend” and “England’s greatest ever” over the last week but the most unique tribute for Cook came from his long-time friend and teammate James Anderson. In a cheeky video tribute, Anderson called Cook a “bore off” and said he should have “retired two years ago”. It was all staged and the video was made just for fun. It was part of the tribute video made by England’s Professional Cricketers’ Association. 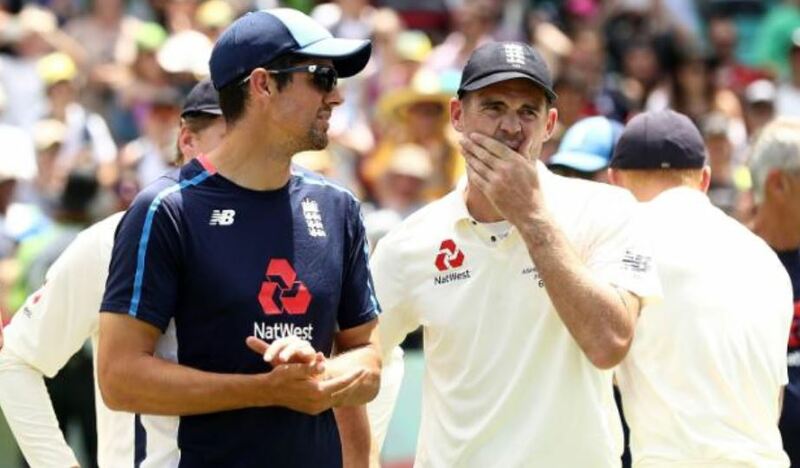 Ahead of the ongoing final Test against India, Cook announced that The Oval Test will be his last in international cricket. He made his debut for England in 2006, will bow out as the fifth highest run-scorer in Test history. His runs tally currently stands at 12457 runs in 161 Tests (including The Oval Test). He has an average of 45.46 in Test cricket with 33 centuries and 57 half-centuries. He is the only active player in the 10,000-run club in the longest format. The ongoing Test at The Oval is Cook’s 159th consecutive game in Test cricket, the longest such streak in all international cricket. He missed just one Test in his entire career (vs India in Mumbai, 2006) that too because of a stomach bug. He also led England for more than four years and was the country’s 79th Test skipper before handing over the baton to Joe Root in February last year. He was England’s longest-serving Test captain having led in 59 matches. He is tied with Andrew Strauss with 24 wins, the second most for England behind Michael Vaughan, but also has the unfortunate record of losing the most Tests as England captain with 22. Disclaimer – Cook’s tally of runs and his average will be changed after his final innings gets over. MS Dhoni Gave Retirement Hints After Series Loss?